Dramatically reduce undercoat, quickly, easily, and comfortably. 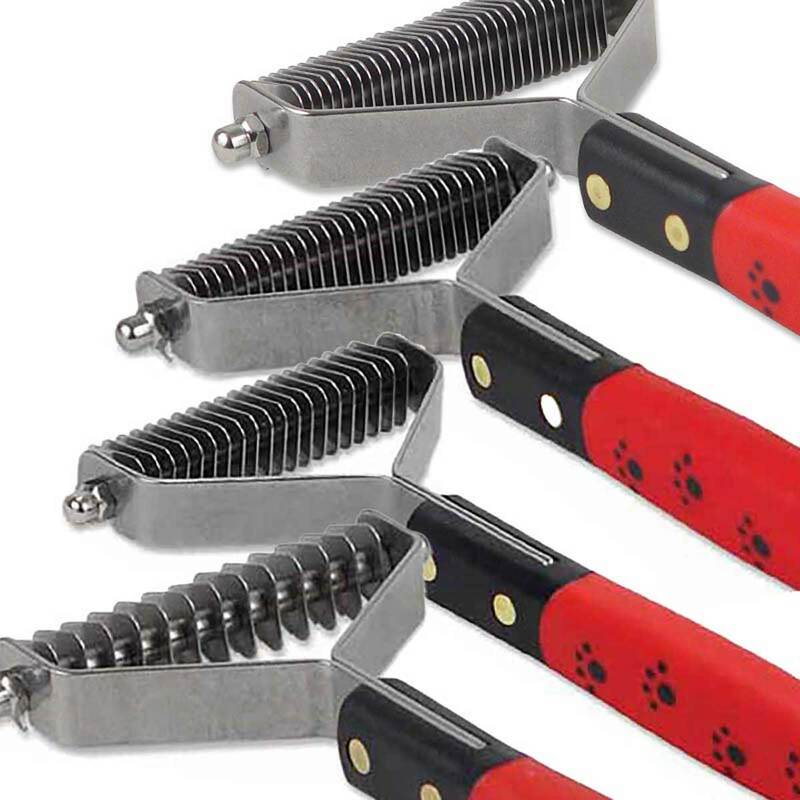 The perfect tool for thinning, dematting, and stripping. For best results start with the coarse and medium tools to prepare and demat the coat, then use the fine tools to strip and finish the coat. Achieve a flawless, hand-stripped, smooth look with less time and effort. Great on all types of coats. Includes many innovative new features: Comfortable, contoured handle. Non-slip rubber grip. Easily replace blades in one simple step with replacement blade cartridges. Double wide sizes allow for working on larger areas more efficiently. Rounded teeth ends for safety.